Are you looking for a reliable caring chiropractor in the Winter Park area? Look no further! Family First Wellness Center is the answer. We have served people in Florida just like you for years and we can help you too. Everyone at Family First specializes in gentle care to put their patients at ease about their chiropractic care. We strive to provide a soothing atmosphere where our patients can relax and heal. Family First is blessed to be the home of two talented chiropractors. The first chiropractor is Dr. Jeffrey Haskel who has 14 years of experience and has practiced Nutritional and Energetic medicine, Functional Neurological medicine, and Toxicology since 1997. He then went on to attend Life College where he got his undergraduate degree in chiropractic medicine and Clayton College for his doctorate degree in Holistic Medicine. He openly declares that his first mission is to restore hope … and that is all you need to know about our amazing Dr. Haskel. Dr. Kelly Fredricks is our second chiropractor. She earned her post-graduate degree from Palmer College of Chiropractic Florida in 2014 after being a patient of Dr. Haskel's. Her health and well being were changed so drastically that she chose to join Dr. Haskel and practice the Koren Specific Technique that helped her so much. Our staff is rounded out by an excellent Massage Therapist – Linda Leslie, Nutrition & Lifestyle Consultant – Mary Collins, Head Chiropractic Assistant- Rachel Lamb and Patient Coordinator- Abby Reid. We are also lucky to have an amazing support staff. Any of the “Three T’s” – Traumas, Toxins, and Thoughts (stress) – that cause subluxations/misalignments in the spine to occur. To address the plethora of conditions that can cause problems in your body, our doctors will employ individualized treatment plans that include techniques such as: Quantum Reflex Integration – Uses a harmonic laser to treat accu-reflex points. Koren Specific Technique (KST) – gentle light force adjustment using a handheld device to deliver low a force adjustment to a specific location without popping, cracking or twisting. This technique is useful for newborns, the elderly, and everyone in-between. K-Laser Therapy – Special waves of light are used to stimulate the body’s natural ability to heal itself. PEMF Therapy –Treatment that activates the body’s chemistry to allow it to heal faster with more than 40 years of clinical studies to back it up. Nutritional Counseling to achieve complete balance and optimal health. Are you ready to get back to 100 percent? Stop by our Winter Park offices, call our friendly helpful staff at (407)-647-2220, or schedule an appointment online today! "Dr. Haskel is more than your average practitioner - he can approach your wellbeing from a scientific rationale but can integrate and connect it as mind, body, and soul." 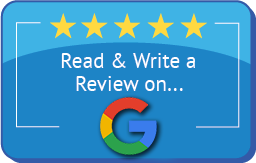 "In my opinion they have excellent service , very attentive and specialized care ..."
"Amazing! Dr. Haskel is a life saver!!! This place has it all...physical, emotional and spiritual wellness all in one place. I recommend them to everyone I know!!!"